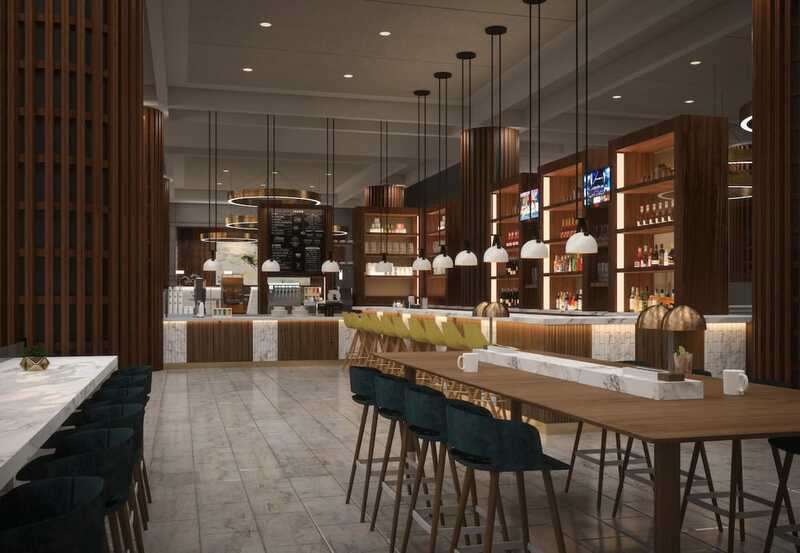 The newly renovated Crowne Plaza Atlanta Perimeter at Ravinia in a press release Thursday announced three brand-new food and beverage concepts slated to open at the hotel in spring 2019. 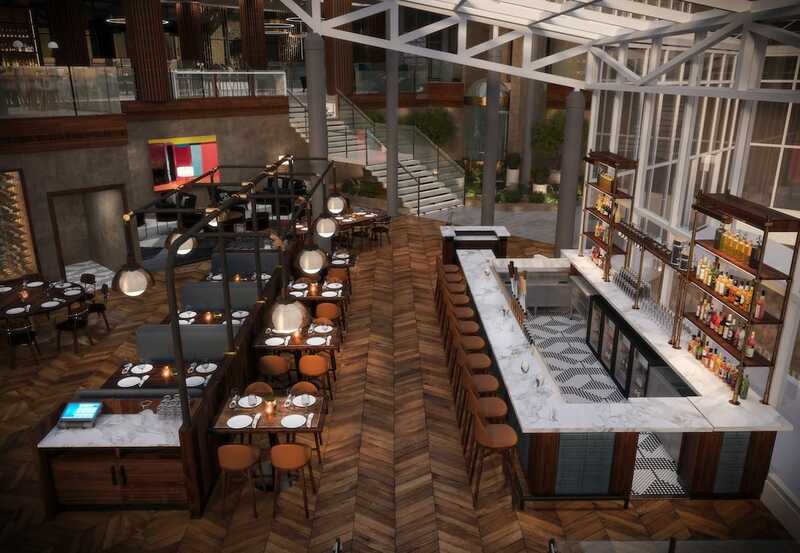 Parkwoods, opening March 2019, will offer regional Southern-American cooking with options ranging from Cream of Broccoli Soup with Cheddar Biscuit to Fried Chicken with Braised Collard Greens, Red Eye Gravy, and a Biscuit. Its bar program will focus on American-made wines in addition to cocktails and regional and craft brews. Lightwell, a café located in the lobby of the hotel, will open in March as well. It will serve Italian-inspired food and drink all day, with an expanded menu available after 4:00 p.m., including flatbreads, salads, and even some vegan desserts. Caffeinated offerings, including espresso and cappuccinos featuring Atlanta’s Batdorf & Bronson coffee, are served throughout the day. The cocktail program will include negronis on tap as well as a selection of beer, a by-the-glass wine menu, and more than 120 spirits. Backyard at Parkwoods, slated to open late-spring 2019, will serve as an extension of the hotel’s on-property restaurant, Parkwoods. The outdoor beer garden will be located literally in the backyard of the flagship eatery at Crowne Plaza Ravinia. Its menu will showcase a variety of German and local craft brews, spiked sweet teas, wines, and sodas, as well as shareable snacks, such as soft pretzels with beer cheese and mustard, house-made sausages, charcuterie boards, and pulled pork sliders. Open seasonally, the outdoor gathering space will feature an eclectic mix of large picnic-style tables, lounge furniture, water features, and oversized lawn games. Since fall 2018, the Crowne Plaza Ravinia has been in the midst of a renovation to transform the property into the brand’s U.S. flagship hotel. A key part of this transformation is the hotel’s food and beverage program, developed in partnership with IHG sister brand, Kimpton Hotels & Restaurants. string(43) "4355 Ashford Dunwoody Rd, Atlanta, GA 30346"